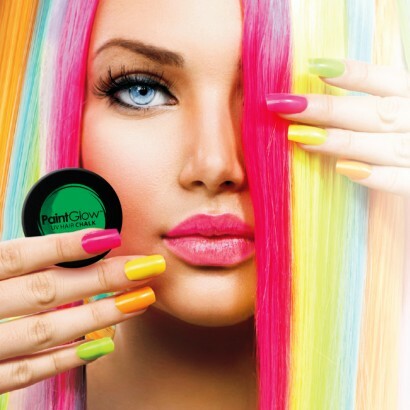 Highlight your hair with streaks of neon colour that fluoresces under UV blacklight! 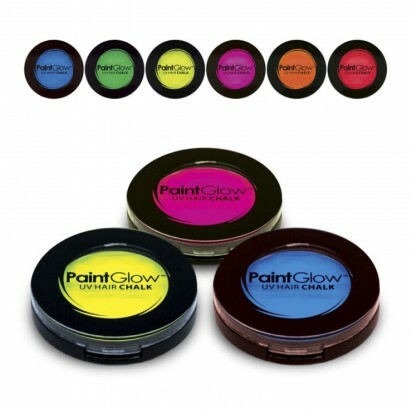 UV reactive hair chalk is a talc based hair colour that coats your hair in vibrant colour. 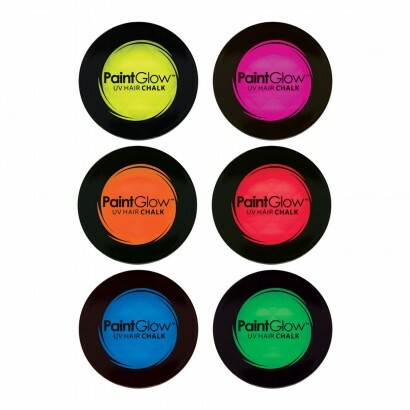 Simply smooth on with the sponge applicator included, set with hairspray and enjoy hot neon colour in our hair that glows in UV party lighting!